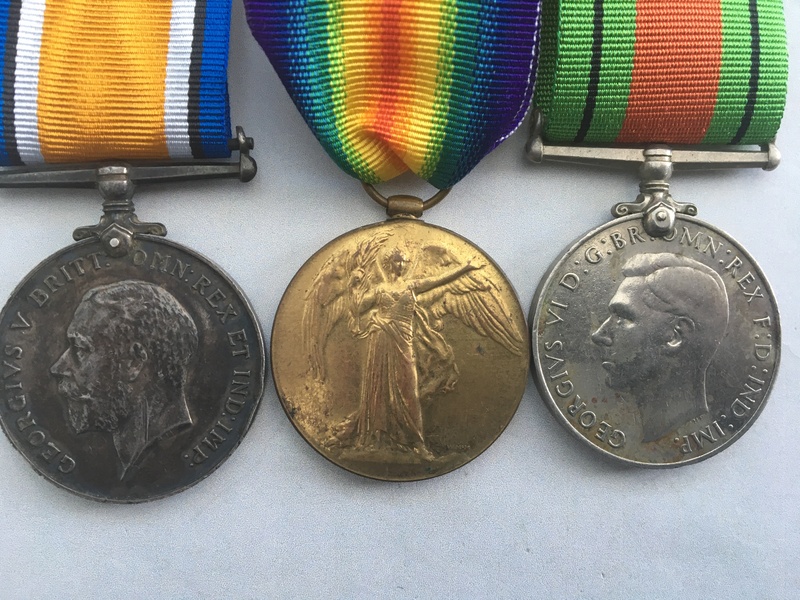 A WW1 medal group (with WW2 era Defence Medal) awarded to 2nd Lieutenant, John George Hilton who served with the Royal Field Artillery. Hilton was commissioned in July 1918, and his London Gazette entry can be viewed by clicking on here. Whilst Hilton’s service records can be purchased from the National Archive (click on here), his Medal Index Card can be viewed by clicking on here, (is you have access to Ancestry, although a paper copy will be provided with this listing). 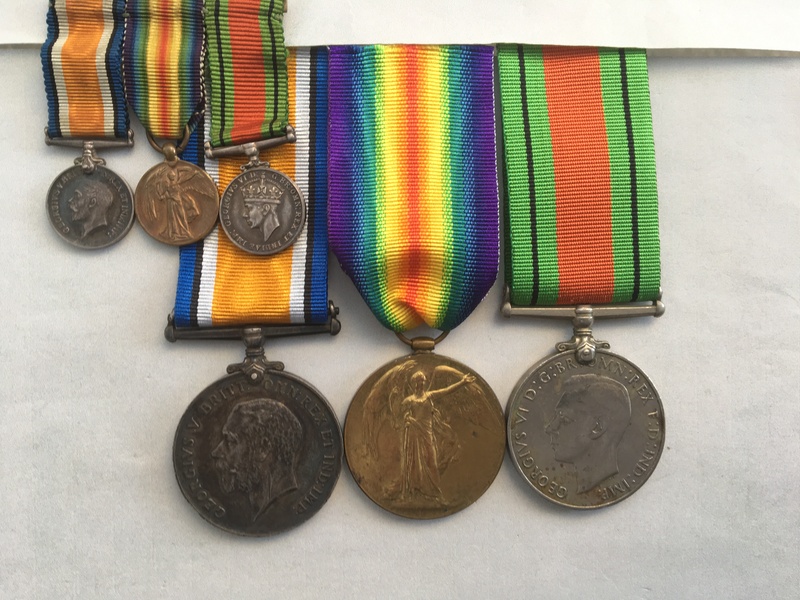 His medal roll entry can also be viewed by clicking on here, (again if you have access to Ancestry). I have not undertaken any further research into this man, but I’ve assumed he undertook some civil defence work or was a member of the Home Guard at the onset of WW2 on the basis that the group comes with a WW2 Defence Medal. 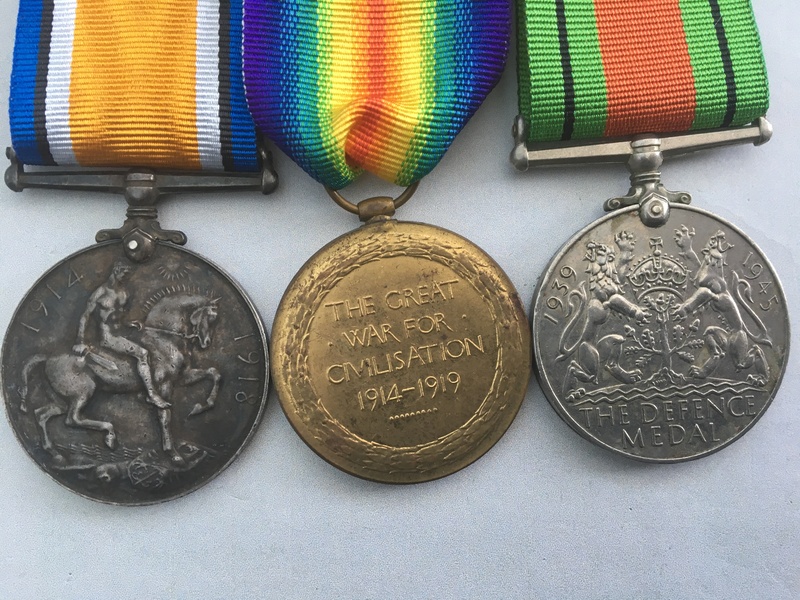 British War Medal and Victory Medal named to 2 LIEUT J. G. HILTON. 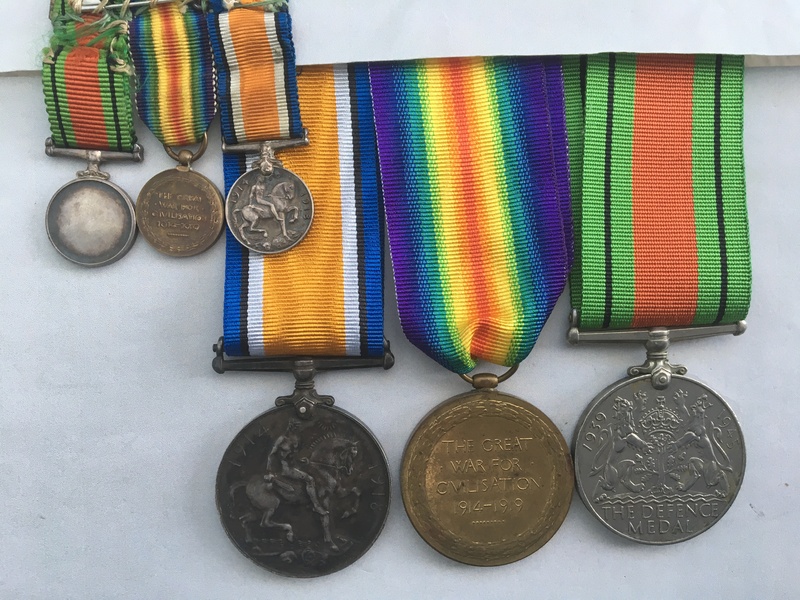 The medals are supplied loose with replacement ribbons, but the listing does include a matching set of contemporary miniature medals.